Sawasdee Hotel – low-cost hotel in the heart of Pattaya is every budget traveler’s dream as it is close to the beach and nightlife. 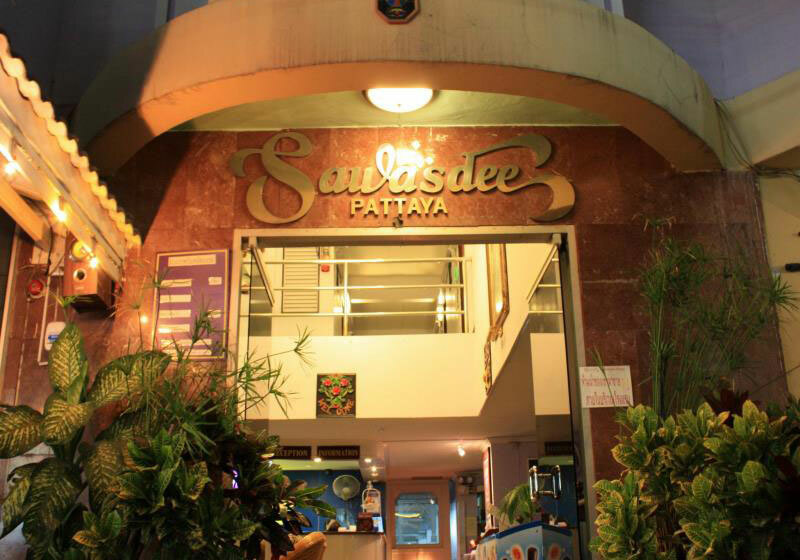 Sawasdee Pattaya Hotel is located a short walk from the Pattaya 2 Road and is only one block away from the beach and all the fun activities. Several shopping complexes as well as Pattaya Walking Street are just a five-minute walk from the hotel. The guestrooms are modest, clean, and comfortable and come with a choice of either air conditioning or fan. Sawasdee Pattaya Hotel is immensely popular with travelers on a tight budget looking for a comfortable place to crash after a long day of shopping and lounging on the beach or a hard night of partying. Short Description: Sawasdee Pattaya Hotel is located a short walk from the Pattaya 2 Road and is only one block away from the beach and all the fun activities. Several shopping complexes as well as Pattaya Walking Street are just a five-minute walk from the hotel. The guestrooms are modest, clean, and comfortable and come with a choice of either air conditioning or fan.